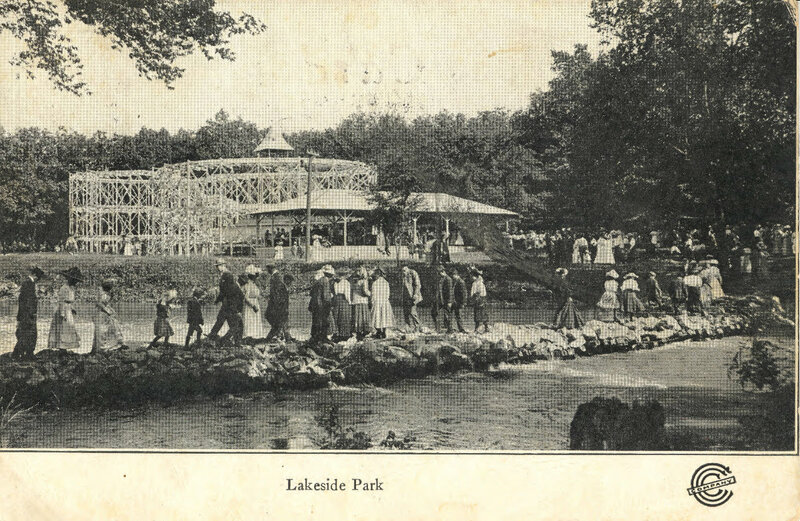 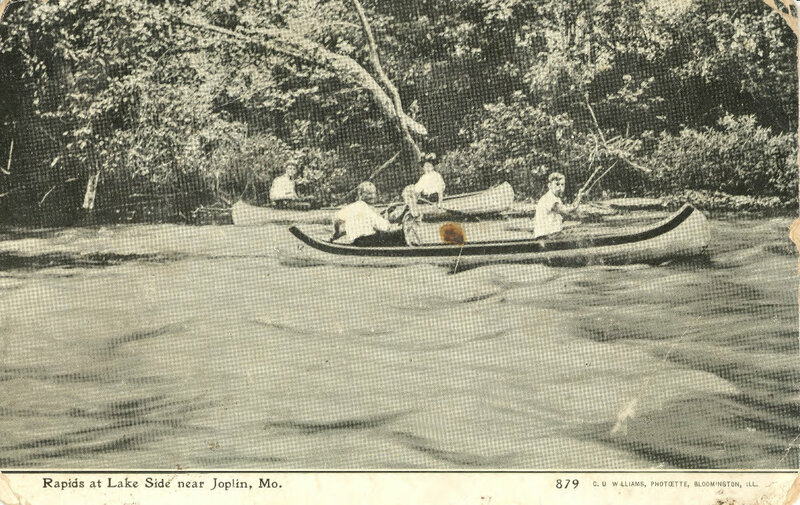 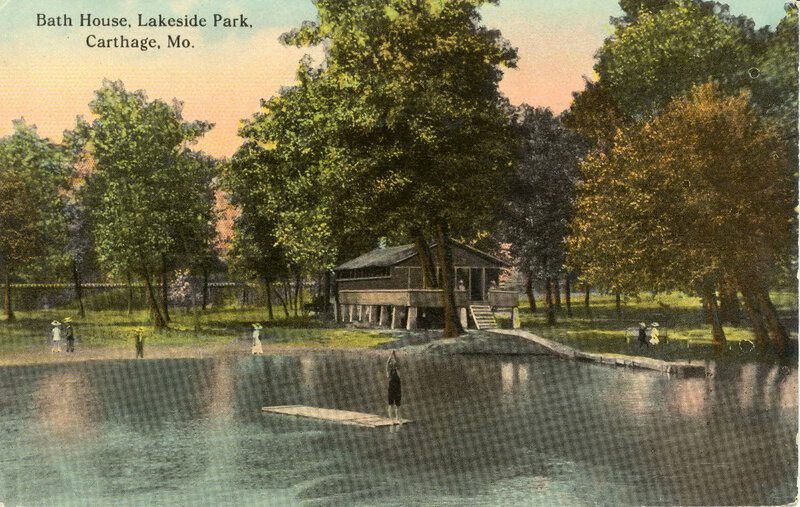 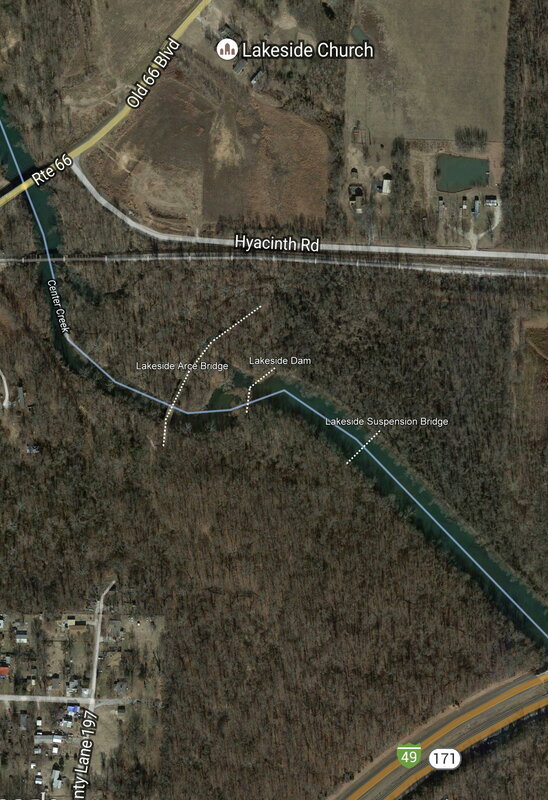 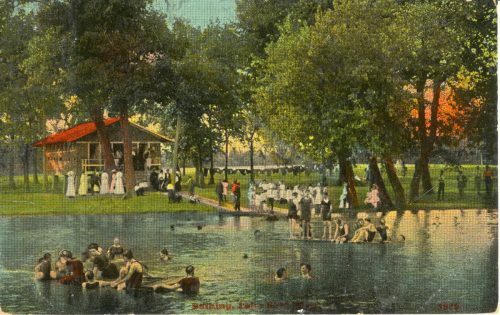 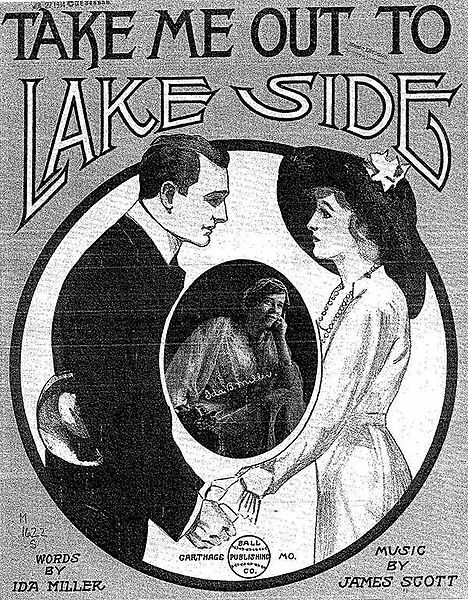 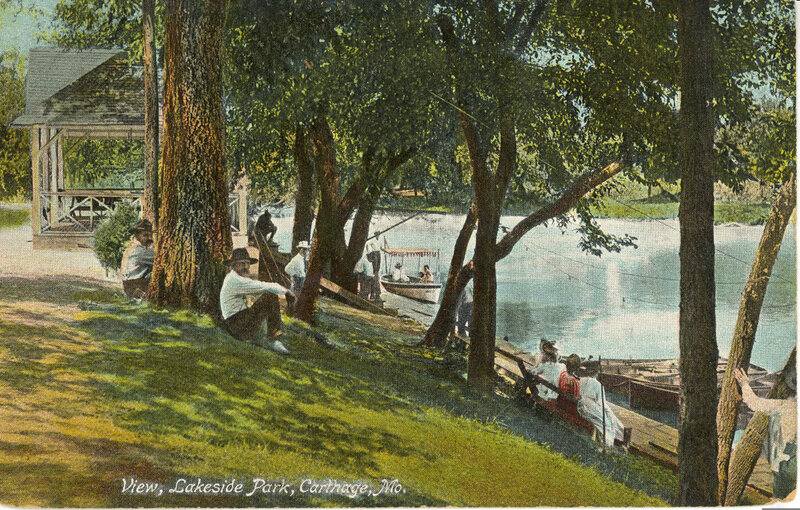 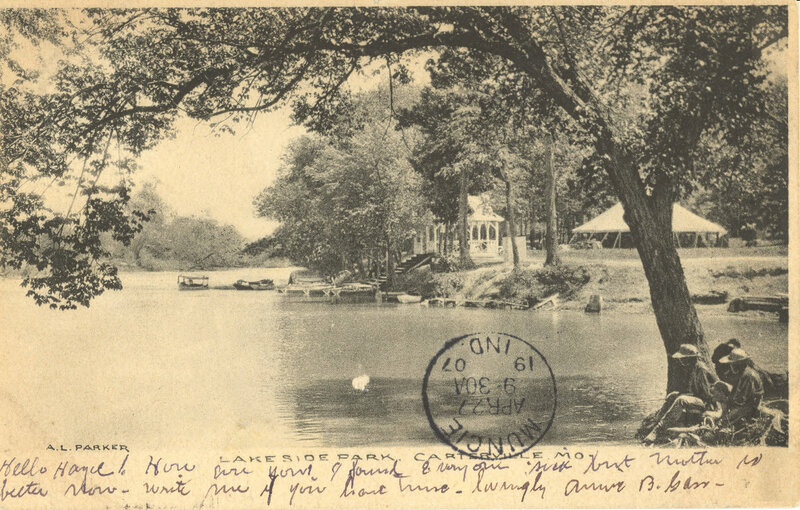 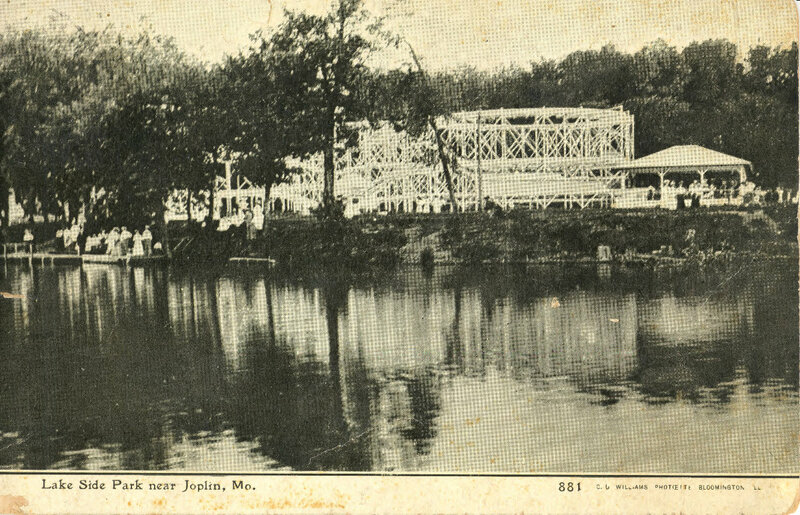 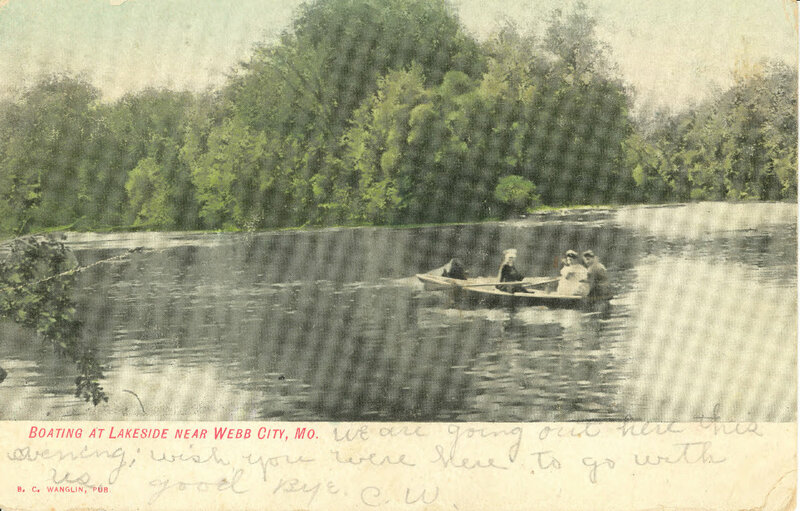 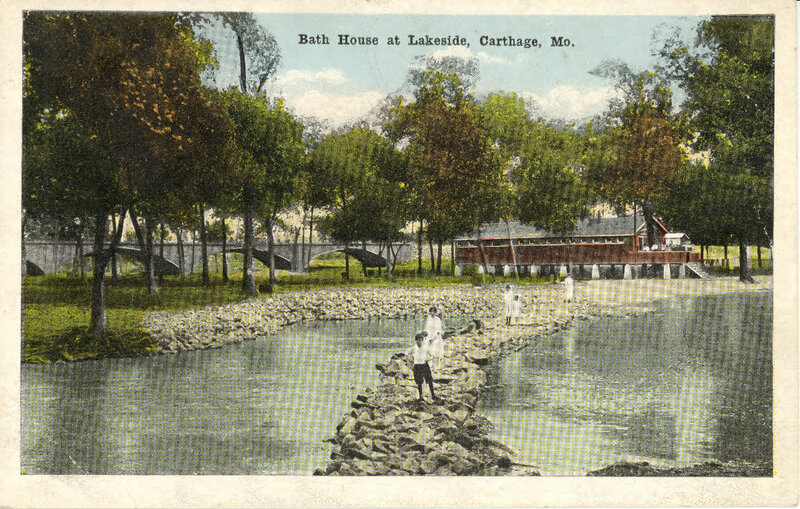 With the Southwest Missouri Electric Railway already having access to Center Creek, they started building Lakeside Park in 1895. 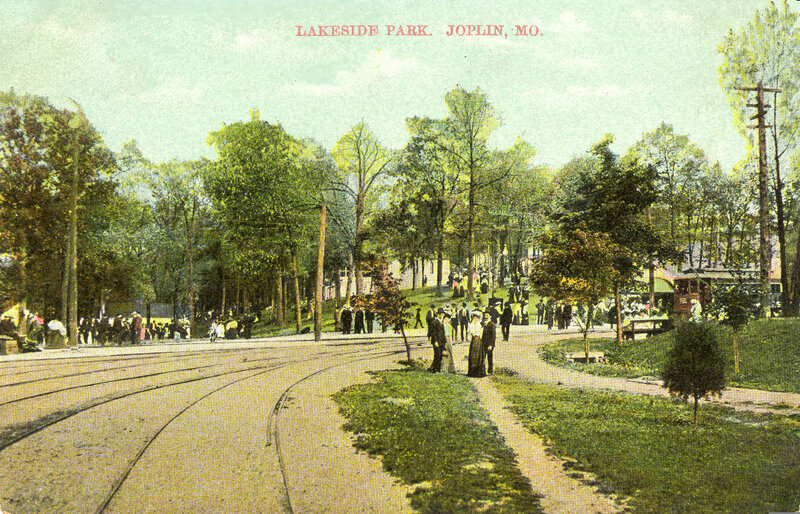 Lakeside Park was to be free to the public with only access from the Trolley system, for a round trip from Joplin to Lakeside cost only 25 cents. 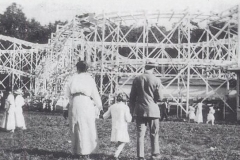 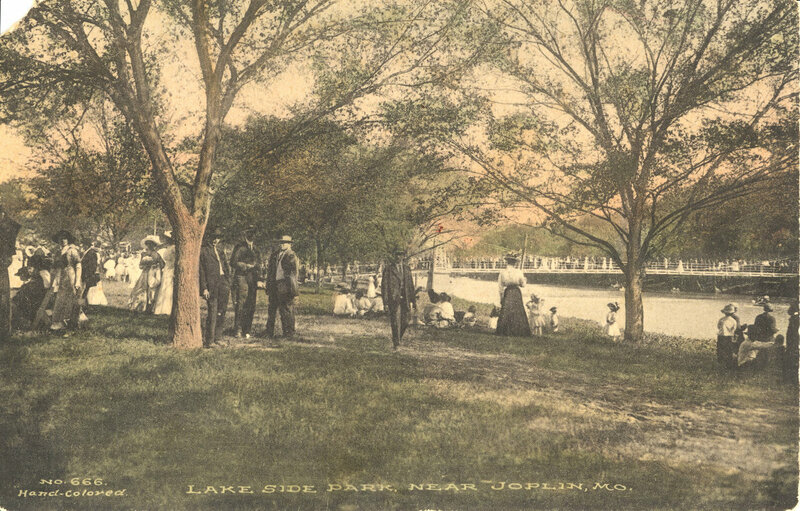 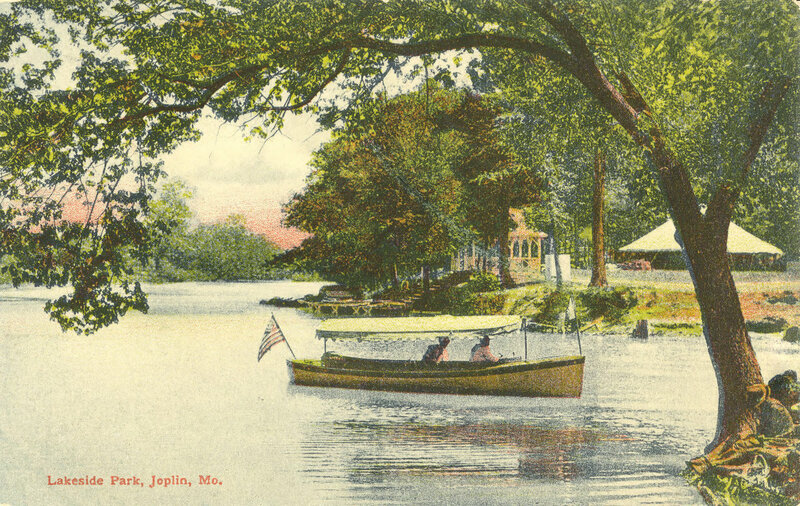 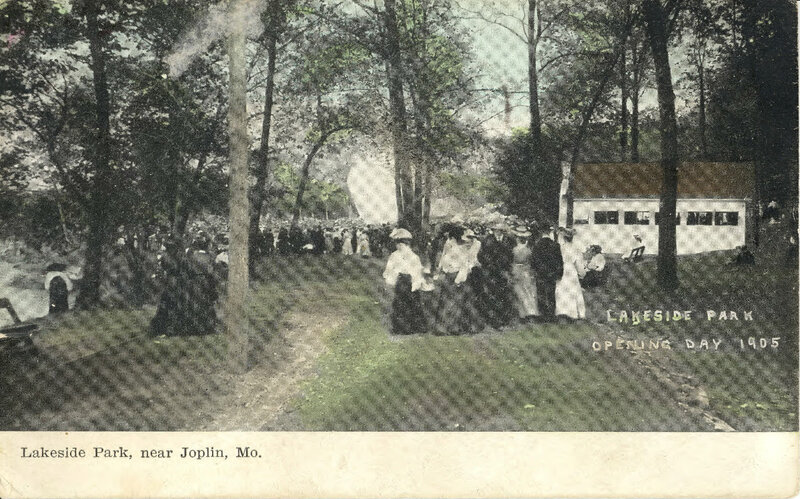 The Park attracted large crowds from Joplin, Webb City and Carthage. 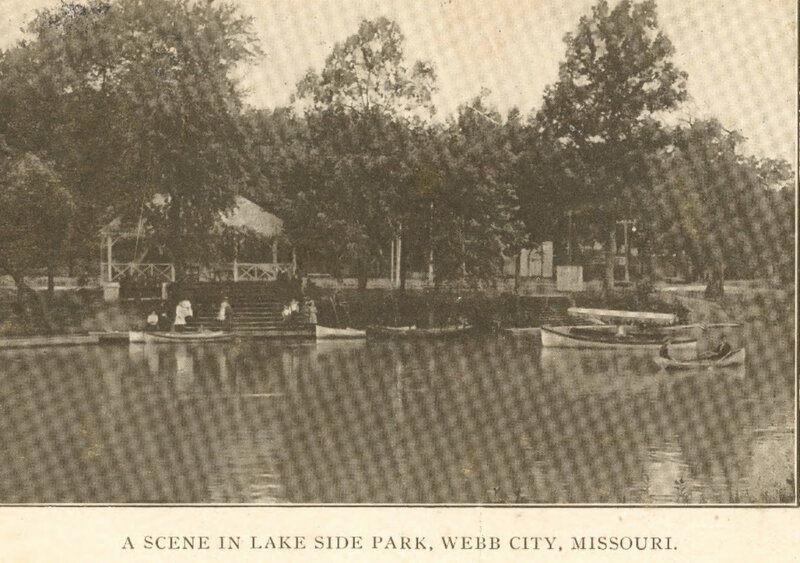 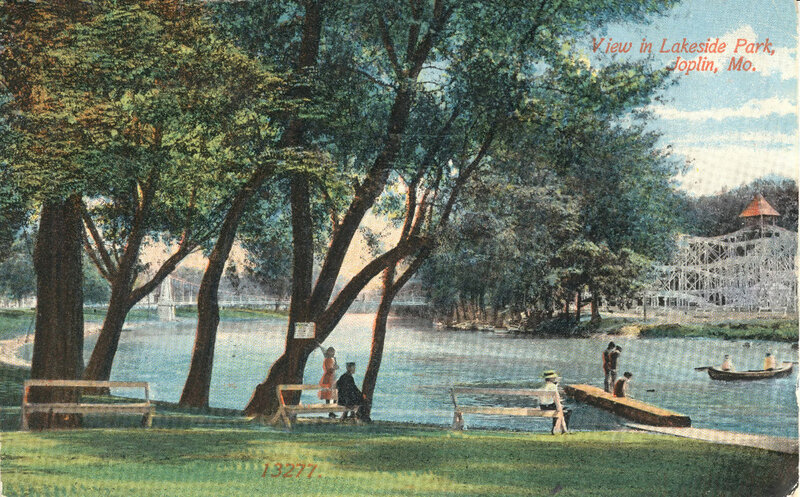 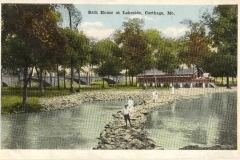 The park offered many attractions over its 40 years including baseball games, a dance pavilion with popular orchestras, roller rink, theater, bbq stand, roller coaster, swinging bridge, boating and swimming and an Inn near the trolley bridge.